I've always been somewhat of a girly girl. I don't have any brothers and I didn't really have any guy friends until I was in high school. When I was a kid, I always loved playing dress-up and putting on makeup. I loved my Barbie dolls and my favorite kind of dog has always been a chihuahua. But even though I'm a girly girl at heart, I also love camping, cockroaches, and watching football. And I was so mad when we didn't get to dissect a frog and a cat in Biology class! 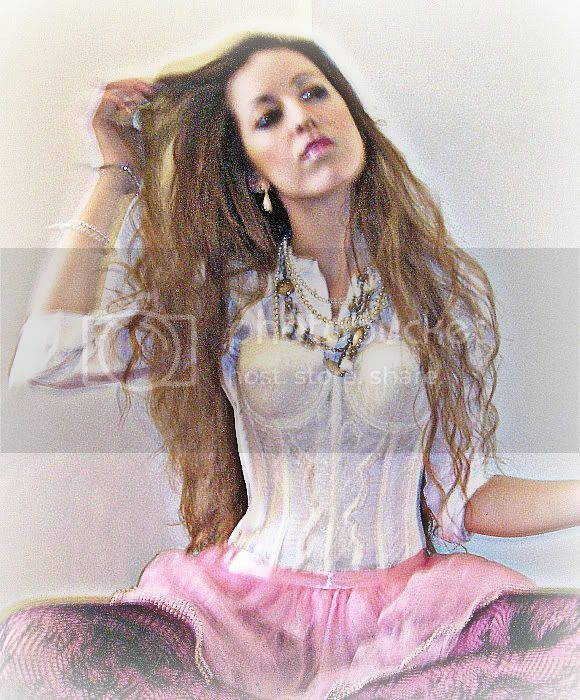 White button-up shirt by Forever 21; lace tights by Claire's; pink tights from the dollar store; vintage corset, tutu, and jewelry. Imagine the visual dissecting a frog, insane wonderment on your face, scalpel at the ready while dressed like this....awesome! Thanks! Shoes are love!! I like your sense of style! Thanks for your sweet compliment! I love these photo's, especially no. 2, 3 and 5! Oee I love it !! Really love your blog ! 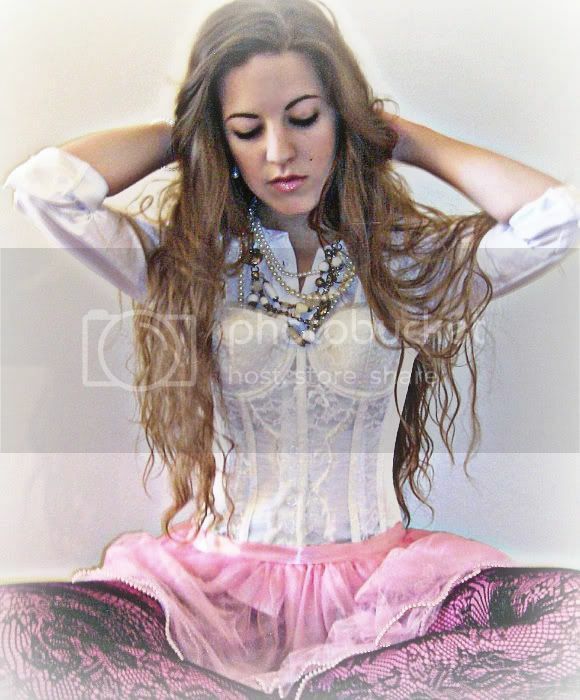 Love how you styled that corset - stunning! Wow.... this outfit is so unique and you totally pull it off! i love the femininity but then mixed with a mens button down style shirt. amazing!! thanks for the comment i LOVE your blog * following! I love this, it reminds me of vintage madonna! ^.^ You look so cute! You remind me of Sarah Jessica parker, here!! :] Love it! Cute outfit and nice photos. cute! its a little costumy. but love all the pieces! the colors are so pretty and the fabrics! 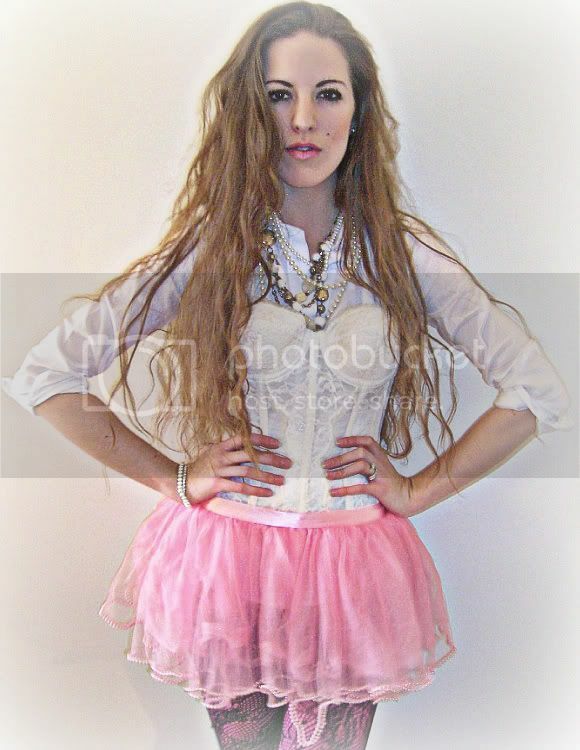 The skirt is like a fairy tale! the outfit is in general! You look like a candy princess.